Capricorn natives are driven by their goals and are highly disciplined. You want structure in your life so planning ahead is nothing new to you. Let Capricorn Horoscope 2017 be your compass during your journey. Gear up and get ready to climb the mountain of success. A fruitful year awaits! Capricorn Horoscope Predictions shows that your long hours of work will pay off in 2017. You have been under the radar but the spotlight will be on you this year. Analyze your strengths and weaknesses before the year begins. Focus on improving your skills and correcting attitude flaws.This will help you gain positive momentum for 2017. Opportunities to advance in your career and expand your business will come. According to Capricorn Horoscope Predictions, your 2017 will be sunny with occasional rains in the areas of love, life and finances. Do not worry because your planetary ruler, Saturn will help you beat the odds this year. Goats may not be the fastest mountain climbers in the zodiac but they manage to get to the top at their own pace. Good luck and enjoy the view once you get up there! Capricorn Horoscope shows that love will have to take the backseat in 2017. You will focus solely on the opportunities that come your way. This year more than ever, the Goats will work long hours to be able to accomplish the tasks assigned to them. You will likely decline social invitations and even put your love life on hold. Capricorns are well aware of the sacrifices they have to make in order to achieve their goals but do not isolate yourself. You will have many opportunities to meet new people and it will be good to open your doors to them. For attached or married Goats, your partners have already accepted your fixation on success. They will understand that they are one of the reasons why you work doubly hard. Still, it will be good for all, if you find time to be with people you love because you need life outside work too. Pay attention to the needs of your partner or spouse so they won’t feel left out. Create balance between work and love. You’ll end up happier and more content. Capricorn career forecast indicates that 2017 will be a very progressive year. This is the kind of year that you have been hoping for in the past. Career advancement and recognition are lined up for driven Goats in 2017. Your professional life will be in the upswing. Those who are in the fields of sales, real estate, finance and Foreign Service will be successful in their endeavors. Your business venture will turn out in the way you envisioned. You will attract investors and new clients this year. Think outside the box and be more innovative. Do not let pessimism hold you back because 2017 is a year of breakthroughs for hardworking Goats. Goats who are still in school will be delighted with this year’s turn out. Although you prefer to be behind the scenes, you will get your share of the limelight.Be more visible and assertive. Join competitions and clubs. Do not be shy because it’s your year to shine! Capricorns tend to be too absorbed with their work that they forget to take better care of themselves. Listen to what your body tells you and take a break when your energy levels drop. Your knees and stomach are the weakest parts of the body. Stomach problems that you get are usually stress related. Skipping meals and losing sleep to meet your deadlines will land you in the hospital. Going on a crash diet to lose weight will not do you good. Get back in shape the right way! Exercise even when you don’t feel like it. Change your eating habits and stick to a healthy diet. Get into a fitness program that will help strengthen your knees. It’s never too early or late to get fit. Resolve to live healthier in 2017. Capricorns will be more conservative in their approach to making money in 2017. This is a welcome change because you have been a little misdirected last year. Do not worry because you will be able to recover what you lost and pay off your debts this year. According to the Financial Outlook for Capricorn in 2017, your earnings will rise steadily. Some Goats have the tendency to spend impulsively. If you are one of them, cut the habit by setting a realistic limit to your expenses. Opt to save or invest and let your money grow. You will have luck with long term investments like real estate. January – You will attract a lot of admirers without much effort this month. Sadly though, you won’t have time to pay attention to them. Goats will be glued to their itineraries, business plans and goals from day 1 of 2017. Take note: You will be a little impatient this month. Keep your cool because things done in haste will only go to waste. February–The first few days of February will bring positive developments in your career or business. Take note: Drop your preconceived notions to avoid misunderstandings at home and at work. It will be good to accept a few social invitations. It’s the love month, so go out and get acquainted with someone new. March–Uphill climb has never been easy. Prepare for obstacles along the way. Trust in your abilities and believe that the universe is on your side. Spend time with your family and lean on them for support. A new relationship may blossom for Single Goats who have time for love. April–Work pace slows down a bit. Perfect time for you to recharge. Step on the brakes and spend quality time with family, partner or friends. Go out and mingle if you are single. You might feel a little confused or down at month’s end. Writing has always been therapeutic for Capricorns, so a journal will come in handy. May – You are back on the grind. 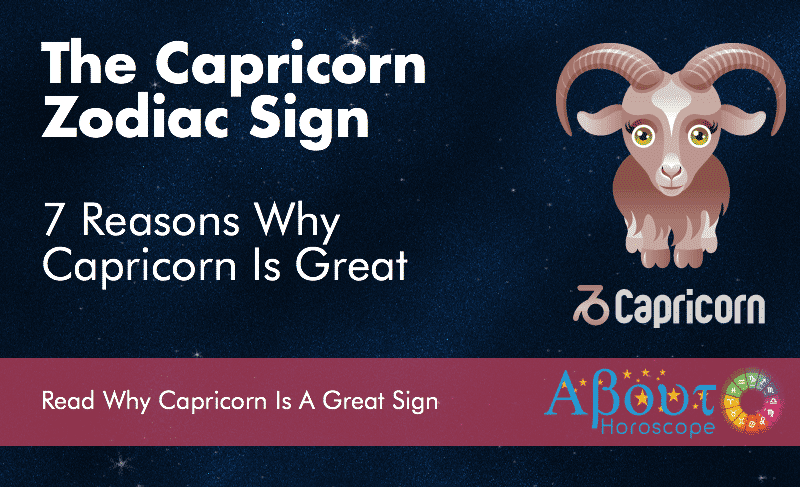 Capricorns are very independent and are capable of succeeding on their own. However, in the corporate and business world, team work is essential. Learn to blend with others. Your body may give in to stress this month. Get some rest and remember to stick to a healthy lifestyle. June – Watch your back because someone is not too pleased with the promotion or recognition you earned. Be on guard. Family life takes center stage midmonth. Go on a vacation and make up for the times you missed because of work. July – You will be in high spirits this month due to your accomplishments. Jupiter’s influence is very strong so your business and career will continue to move upwards. Attached Capricorns will have to re assess their relationships. Try your best to work things out and do not let pride get in the way. August – Money luck is good this month. You may receive good news regarding release of sales commission, increase in pay or even inheritance. A windfall may also be on its way to you. September – Career and money luck continue to flow. However, some love relationships or business partnerships maybe strained. It may be time to let go if it is beyond saving. Do not hold on for the wrong reasons. October– All is well at work and your finances are in order. However, having a zero love life might finally catch up on single Capricorns. Do not worry, there’s a time and place for everything and your heart will find its match soon in a not so distant place. Take your chance or you might miss the love of your life. November–Things will smoothly sail this month. Try to ease up on your workload and give yourself a break. Pause, look back and see how high you’ve climbed. The typical Capricorn will not rest at the peak for too long and will soon scout for another mountain to climb. So it’s not surprising that you are already planning and setting new goals for next year. December–Apply the finishing touches at work and get into the holiday spirit early this month. Reconnect with your friends and celebrate with family and loved ones. You will end the year with a grateful heart. Goats will beam with pride due to their accomplishments. You will truly have a lot of reasons to be merry this season. Job well done Caps! All in all, 2017 will be a very memorable year for workaholic Capricorns. You have what it takes to succeed and good things are coming your way this year. Dream without reservations and just go for it. Start climbing your mountain and do not allow even an ounce of pessimism to hold you back. Believe in yourself. Be fearless because over thinking will only cause delays. It may be a steep climb, but Goats never quit. Make 2017 your comeback year! Good luck!